The zombies are everywhere. But in this free online game you don't need to destroy them, on the contrary, you must help them infect all humans. Are you ready to become a true walking dead? Then we wish you much fun in this interesting puzzle game. The zombies are going to capture a city. And you, and that's curiously enough, must help them in this mission! 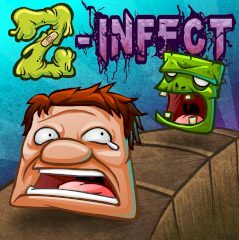 Infect all people in the city in the least number of steps in this arcade game. Are you ready for a zombie adventure in this puzzle game? Then give up reading this and do everything that depends on you in this game developed by My Play Yard Games.